To be updated with exciting, recent works, in particular from my festival, Hawaii International Music Festival, where I was able to explore the merging of music with other art forms more deeply! Tree Whispers emerged from a meditation on Life’s stillness and silence. At every level of life, between the seeming silences and raging sound storms, threads of life quietly weave. If we opened our hearts and listened, we could learn much from our subtle surroundings. Observing Nature gives rise to the deepest philosophy and inspiration. Created in support of Ebb and Flow Arts for their "Music of the Spheres" series, which an immersive planetarium experience with electronic, animation and film, with dynamic 20th and 21st century works. Nature is my greatest mentor, through her expressions of Silence, Life, and Flow. Away from complications of human civilization games, she teaches us simply how to be. She provides a spiritual sanctuary, a place to ponder the forms of natural art, arising from stillness. Layer by layer, we can unfold our inner presence through observing natural wonders. From the lyrical silence of mist, to the unveiling of bright landscapes, to the cornucopic varieties of creatures, which finally evolve into us, humankind stands in awe of our origin. When we connect to Nature, we find ourselves creating music and art. Bringing together my life of music (www.carlinma.com) and photography has always been a dream, and it truly merged when I helped co-found and become Artistic Director o Hawaii International Music Festival's 2016 (www.himusicfestival.com). Robert Pollock, the director of Ebb and Flow Arts (multimedia, new music organization http://ebbandflowarts.org/), attended our Maui show and enjoyed my photo-music pairings. I was most humbled when he invited me to create a piece for their "Music of the Spheres" planetarium program. Big thank you to nature, squirrels, Danny, Robert, and my partner who put up with my sleepless, marathon nights. Enjoy! A deeper understanding of art emerges when we feel music with multiple senses. I first conceived of this in 2015 for a Seattle bird-themed concert. My goal was to create a visual duet to harmonize with the music, leaving room for the music and performers to spark the audience's imagination. Thus, I intentionally avoided fast paced visuals that would hog attention. I love Lark Ascending for silent wind and skies created around the soaring lark song. The music is definitely complete on its own, and I have no wish to rob its glory. 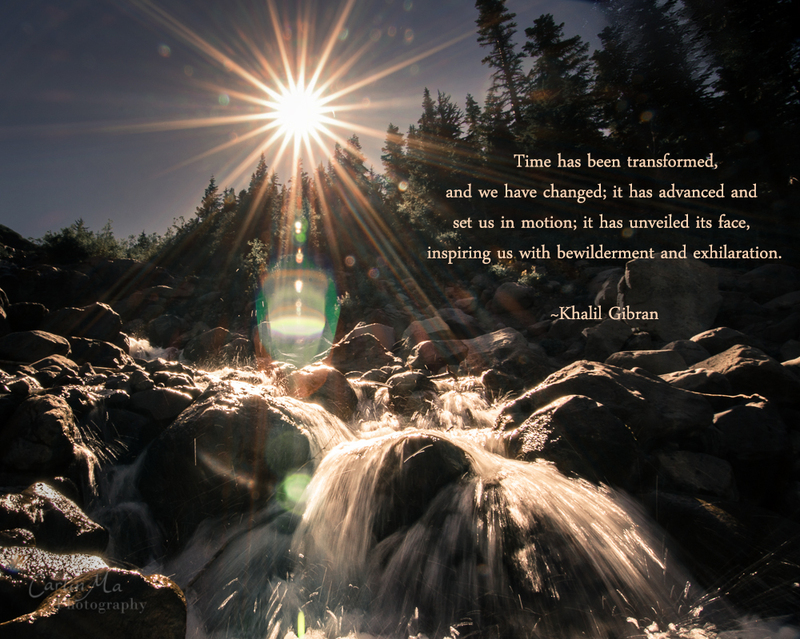 Thus transitions are celestially slow, so that we may delve deeper into our own world-building, as we notice the infinitesimal beauty within each moment. This version adds complexities, layers, and motion to the 1st version, which was a simple slide deck with transitions optimized for adjusting to live performers (https://youtu.be/P3xUnduKh5E). This version would still be better with live performers as visual elements. I was most excited when Nicole Paiement (director of Blueprint, San Francisco Conservatory of Music’s new music ensemble) asked me to pair my photographs with Osvaldo Golijov’s Tenebrae in their season debut concert. For countless late night hours, Tenebrae lured me into its soulfully haunting world. Visions of beautiful pain and agonizing delight inspired me to search for a deep visual lyricism. My pictures are not meant to usurp the music’s beauty. Rather, they function as a visual counterpoint, harmonizing with the music to express a common beauty. I feel that Nature best expresses Tenebrae‘s complex beauty because she simultaneously sings of a divine cosmic balance while surging with chaotic turmoil. Originally commissioned by Hawaii International Music Festival, I did an entire recital pairing original photography with a live song recital. The purpose was to create artwork that sparked the imagination and riled the emotions of the song, while keeping the attention on live performers since the translations would already be projected on stage, instead of rifling through the program book for translations. For this video sample, I used my favorite recording of the No Puede Ser by Sorozobal … Placido Domingo's famous 1990 recording with Zubin Mehta and Teatro dell'Opera di Roma. I was absolutely delighted when Michael Langlois approached me with the idea to pair one photograph per movement in his all Brahms Violin Sonata concert in Maryland. It was my first photography-music collaboration, and what an exciting undertaking, as Brahms is one of my favorite composers, full of deep love and resonant life force. In the performance, each of these photos were projected live during each movement. Enjoy our interpretation! "Armando Luna’s “Graffiti” consists of 11 “movements”/vignettes named for a inspiration/role model, including Benny Goodman, Chick Corea, G. Gershwin, and Alberto Ginastera. It’s a bracing kaleidoscope of 20th century modes and styles, with the accent on bracing—there’s nothing academic or didactic about this as a whole. " My visual conception arises from enhancing the abstract, emotional intent of each movement with an abstract, textural photo. The title and font are woven into the photograph, similar to the Chinese poems balancing and completing a painting.